Since the release of Ace Combat: Assault Horizon, fans of the series have been hankering for a game in the style of the older and more revered Ace Combat titles. The latest entry, Ace Combat 7: Skies Unknown, returns players to the same fictional world of previous titles; with a sweeping, grand story tied together with gameplay that heralds a welcome back to basics for the series. The Ace Combat games have always set the standard for aerial combat, and Skies Unknown thankfully continues that tradition. Skies Unknown sees players returning to the alternative reality of earlier games, as a conflict brews between two of this factional universe’s nations. As with Ace Combat 6, you play as an enigmatic pilot defending his nation in the skies. Also, the story unfolds through cinematics between missions from the view of other characters also involved in the conflict. The familiarity of older Ace Combat games is evident in the story, with the series’ trademark melodrama, while also tackling issues like sovereignty and the use of technology in war. It all unfolds in a somewhat confusing, but still endearing and human-centric narrative that engrosses the player, while effortlessly complementing the gameplay. Skies Unknown also marks a triumphant return to the series’ aerial combat gameplay seen prior to the most recent console entry, Assault Horizon. Knifing through the sky to the chatter of your wingman brings back the familiar memories of earlier games. The on-rails, shooter-style gameplay of Assault Horizon has been stripped back in favour of the franchise’s core gameplay. Actions like racing after enemy bombers, locking onto foes and out-manoeuvring enemy fighters offers the same satisfaction that players enjoyed in older entries, while still appealing to newer players. Players are only responsible for deterring the enemy or tracking out targets, which offers a focused gameplay experience. The power of the current console generation also enhances the aerial combat, with players granted the ability to wave in and out of clouds. This can prevent the enemy from seeing you, but it means the player likewise has little idea of where they might be going. It also enhances the immersive factor, giving you the idea of being a pilot flying in the open sky. Different types of weather you find yourself flying in, such as rain and lightning, similarly add to variety and sense of danger. As with previous entries, the 20 campaign missions offer a variety of objectives and experiences. Players find themselves hunting both ground and air targets, high above the grounds, but also close to the earth. There are also a number of boss-type encounters, which were a highlight in previous games. Thankfully, Skies Unknown’s boss fights are just as memorable. There are occasionally a few annoying situations, such as looking for ground targets in a sandstorm, but they don’t dampen the overall experience too much. My only other major gameplay criticism would be the horrible checkpoint system. Quite often, you might progress half way through a mission, before being shot down or flying into the environment, forcing players to revert all the way back to start. It can become especially annoying, particularly in some of the harder missions. In terms of online multiplayer, Skies Unknown features an 8 player free-for-all combat mode. Pitting your skills against human players is a lot more challenging than the campaign AI, and until you get the hang of it, coming out on the bottom of the scoreboard is rather common. Shooting down players on top of the scoreboard will also grant you more points, so expect to be chasing down the best pilots at the same time as your other enemies. Multiplayer games only last a few minute, however, so it’s online mode is very easy to pick-up and play. The planes you progressively unlock in the campaign also become available at the same pace in multiplayer. Players can outfit their planes according to personal preference, but with a cap set on what you are allowed to select, you may want to play around before finding the loadout that works best. 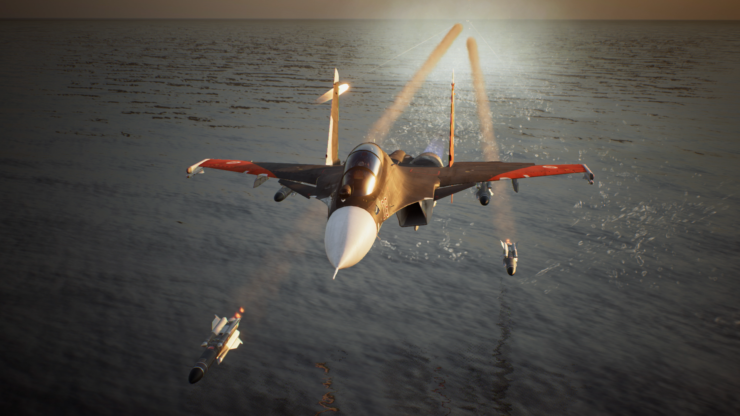 We reviewed the game on the base PS4, and the game seemed to be hitting near 60 frames per second, which is useful in a fast-paced game like Ace Combat. The base PS4 version almost hits a resolution of 1080p, with full HD reportedly reserved only for the PlayStation 4 Pro and Xbox One X systems. Furthermore, Skies Unknown reportedly doesn’t take any further advantage of the extra processing power of the PlayStation 4 Pro and Xbox One X. 4K gameplay would have been a nice option, and really feels like a missed opportunity from the developers. 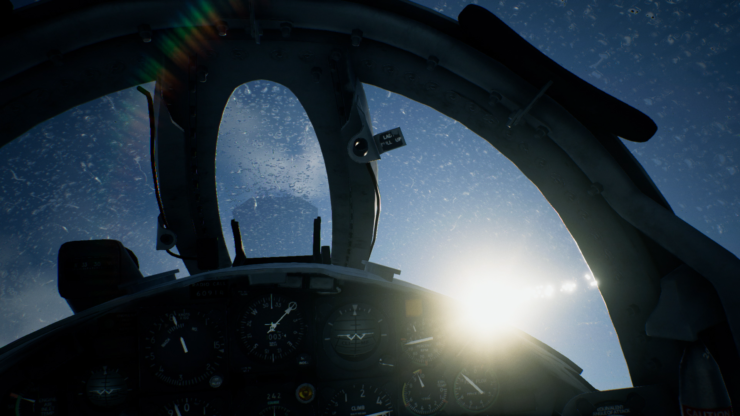 Skies Unknown is the current-generation game Ace Combat fans have been waiting for. Gone are the elements that frustrated players of Assault Horizon. Instead, we have a superb aerial combat game that celebrates what the series is best known for – focused and intense jet fighter gameplay over a range of varied levels, complimented with a dramatic and contemporary narrative. The multiplayer is also a nice addition that furthers the shelf life of the title. The only criticisms that otherwise damped the experience are some gameplay frustrations, a poor checkpoint system and the missed opportunity to play the game in 4K. 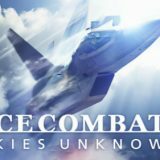 Nevertheless, Ace Combat: Skies Unknown is a welcome return to form that will please both newcomers and series’ veteran’s alike. 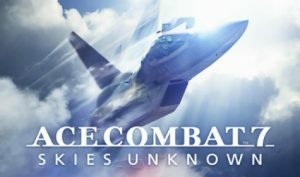 Ace Combat: Skies Unknown is currently available on Xbox One and PS4, and will be released on PC on January 31.